Three generations of craftsmen are behind a small company in Grossarl. Their approach is to follow each step of the production process, from doors and window frames to furniture, from chairs to lamps and upholstery, in-house, from the design to the installation. The care for the smallest detail is fluently interwoven with the latest technological and digital innovations. Sometimes great virtues are built out of necessities. A unique talent that for three generations has been handed down from father to son, has each time opened the way to unexpected potential and capability. 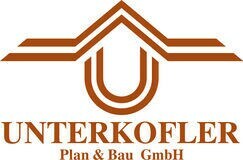 This is the case of Unterkofler, a small Austrian company based in Grossarl, that we had the pleasure of visiting recently. The special compass chosen by the excellent craftsmen of the woodworking workshop, to bring an added value to their refined productions and craft, is the reliable SCM technology. Peter, the owner, was there to welcome us. “It all began in 1934”, he explained. “My grandfather was a carpenter and had a small workshop, which my father inherited and expanded. Everything evolved gradually when we started taking on joinery work and new jobs”. The totally unplanned change, as Peter stressed to us, came at the beginning of the seventies, with the first production of door and window frames and furniture. “My father wasn’t a joiner, but only a carpenter. One day he was asked to make the door and its structure. He had never passed any joinery exam. But to make a virtue out of a necessity, and seeing as there was nobody else close by, he accepted the challenge”. Since that day the joiner’s work became part of his DNA and a planer, the first machine he bought from SCM in 1987, at the Ligna Show, became his main tool. 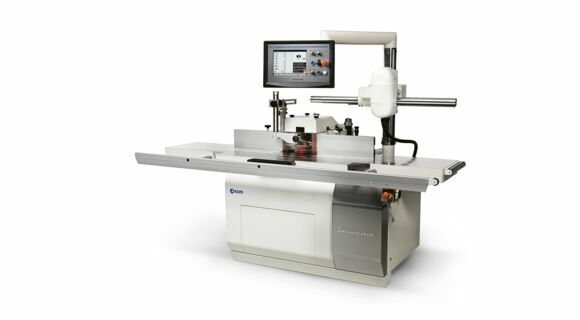 The SCM family of machines has over the years grown to include numerous technologies. Amongst these, two ti 7 spindle moulder and a si x circular saw of the classic “L’invincibile” woodworking line. Moreover the company has acquired a CNC accord 40 fx machining centre. “We have SCM machines in every department, both for carpentry and joinery”. Only a third of orders come from architects, most of the work is for individual and custom projects, designed internally, especially for chalets. Consequently everything is produced in-house, without using third parties, not even for the final assembly. Word of mouth is still the main marketing strategy of this dynamic business, where the uniqueness of the craft product is perfectly dovetailed with the new digital solutions. “We provide everything, right down to the chairs, lamps and upholstery. We produce the wooden chairs ourselves, whilst we buy-in the materials to upholster the benches, for example. We create the first sketch by hand, which is presented to the customer for approval and, if it meets their requirements, we subsequently process the design with the Computer Aided Design”, explained Peter. The digital technology simplifies the work considerably, but it’s not enough. “We try to have a standard approach, but every project is unique. It’s unimaginable that we could create a project at the computer and finish it with a few clicks. Every customer has their own needs and requires a great deal of flexibility on our part”. The care for the smallest detail is fundamental. “The project is a success if every element is in the right place: the material, the chairs, the lamps and the furniture. We work a great deal on the visual impact”. But how has technology changed their way of working? “Thanks to CNC machines we can now have the elements ready immediately. In the past it used to take much longer. The other great change is that now you can save programs, whilst in the past all the settings were manual. And setting a CNC machine is much faster than doing it manually, as well as being more precise. The simpler the control, the more advantages you have. 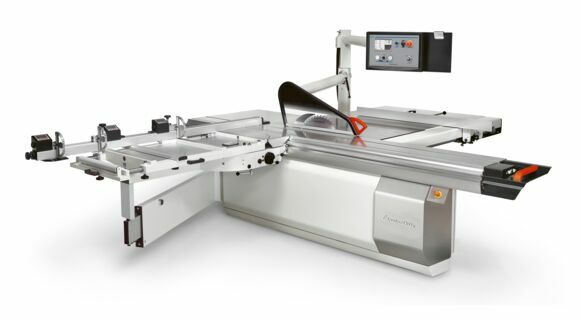 And even if the machines are standardised the resulting products are more flexible. The machines can have different, and much more complex functions, but the control, the basics, must be simple”. 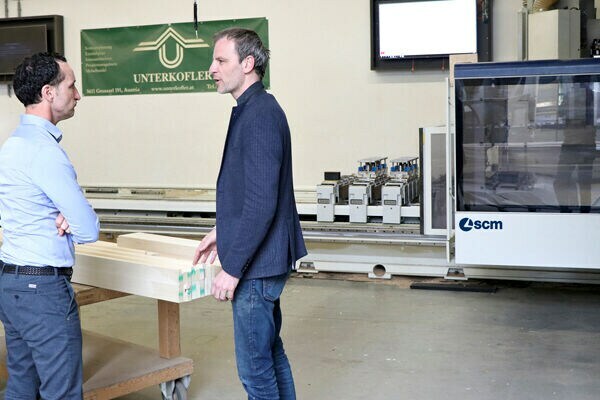 The owner of Unterkofler belongs to the new generation of craftsmen “4.0”, well aware that manual work is not enough and that today’s craftsman has to broaden his range of skills compared to a few years ago. In fact, as SCM is about to present to the international market its innovative IoT Maestro connect project, it is the craftsman who is interested to know about the new possibilities offered by applying the internet to the machines, such as connecting the machines in a network. 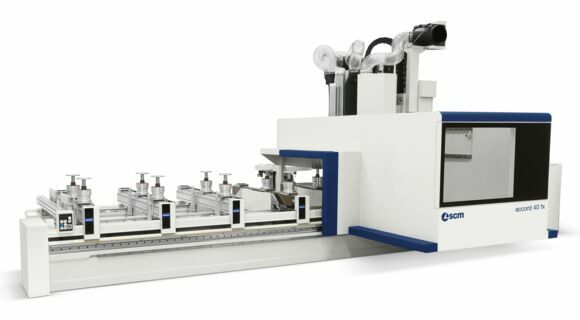 CNC machining centre with mobile gantry structure for the production of windows, doors, stairs, solid wood parts and for all those processes that require high level machining, while maintaining high standards in terms of precision and finish quality.